Jillian Pransky is an international presenter, the director of Restorative Therapeutic Yoga teacher training for YogaWorks, and a founding Director of Bright Spirit Yoga Trainings. 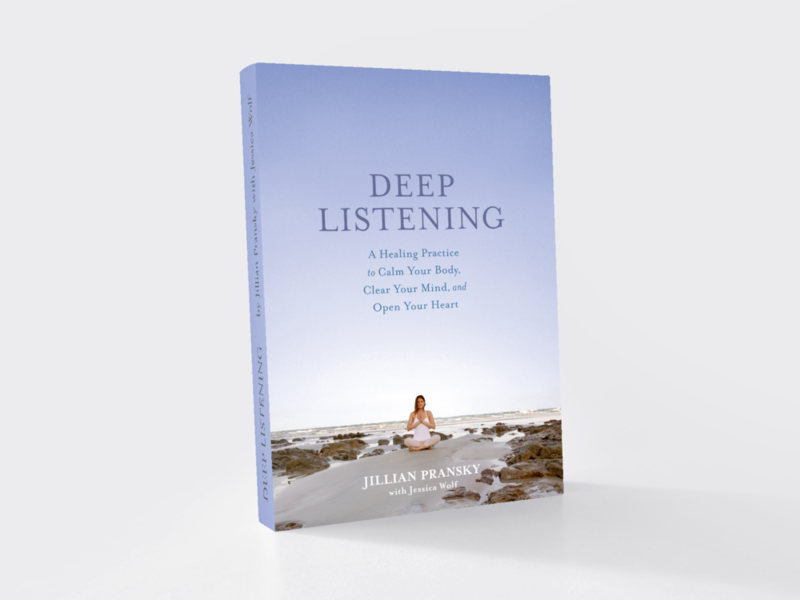 Jillian Pransky is an international presenter and the author of Deep Listening. She is a Certified Yoga Therapist recognized by the International Association of Yoga Therapy and the director of Restorative Therapeutic Yoga teacher training for YogaWorks. Jillian created and leads Yoga Journal's four week course, Restorative Yoga 101 and is a featured yoga expert for Prevention Magazine. She is a guest teacher at many renowned holistic learning centers including Kripalu Center for Yoga and Health, 1440 Multiversity, the Omega Institute, Mohonk Mountain House, and Blue Spirit Retreat Center. Her Calm Body, Clear Mind DVD and Relaxmore CD have garnered excellent reviews from Dr. Mehmet Oz, Yoga Journal, and many others. Jillian infuses her yoga classes with mindfulness practices, compassion, and ease. Her seamless style of working simultaneously with the body, mind, and spirit, while attuning with nature and the environment, creates inspiring classes and an integrative healing experience. At age 9, Jillian was first introduced to yoga as well as initiated into TM Meditation (her mother’s idea of ‘family counseling’). But it wasn’t until the early 90’s that she began a passionate study of yoga. She was first certified to teach yoga in 1994 and was initiated into the ISHTA yoga lineage by Yogi Raj Alan Finger and his father Mani Finger in 1998. Since then she has been graced with the opportunity to study deeply with many masters and today, her work is greatly influenced by Erich Schiffmann, and somatic movement therapist Dr. Ruella Frank. As a student of Pema Chodron’s since 1998, Jillian’s yoga is infused with Buddhist meditation and spirituality. She also draws from trainings and intensives with T.K.V. Desikachar, Sharon Salzberg, Gary Kraftsow, Angela Farmer, Stephen Cope, and more. She is a E-500 Registered Yoga Alliance teacher, ISHTA Yoga Certified, Anusara trained and Certified in Restorative Yoga Therapy and Thai Yoga Healing. In 2000, after 10 years in the corporate world, Jillian left her position as Mass Market Marketing Director for St Martin’s Press to transform her part time yoga career into her a full time passion. Since then she has been featured in Dr. Memhet Oz's video YOGA 101, offered a TEDx Talk, and appeared in many publications including The New York Times Well Blog, Yoga Journal, Self Magazine, Family Circle, Yoga Dork, Kripalu Bulletin Magazine, Yoga Journal Mentor, and has appeared on CNN.